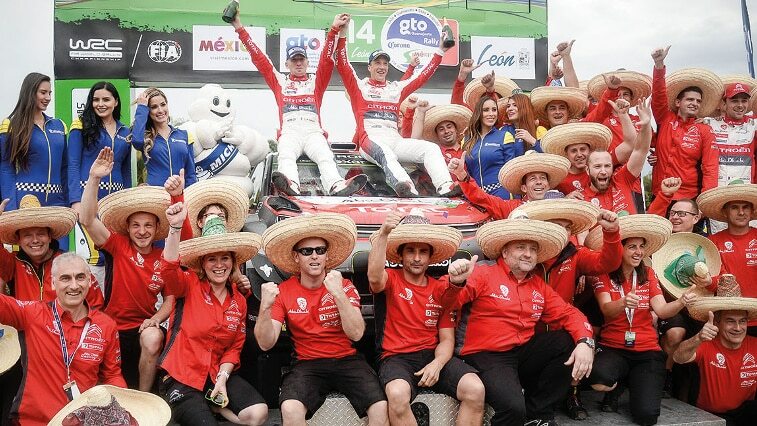 Kris Meeke and Paul Nagle kept up their impressive form and just about held their nerve on the final day of Rally Mexico. Despite running off the road a few corners before the end of the Power Stage, the Citroën Total Abu Dhabi WRT crew secured the C3 WRC's maiden rally win. THE STORY OF THE RACE: BREATHTAKING RIGHT TO THE FINISH! From the very outset, it seemed that this year's Rally Mexico would be like no other. To begin with, the organisers managed to pull off something of a feat in holding a super special stage right in the middle of Mexico City, on the famous Zócalo square. Despite the rain, this new experience gave fans in the huge city an exclusive opportunity to witness the WRCs up close. Unfortunately, the journey back to the service park in León, 400km from the capital, ended in disarray. A road traffic accident unrelated to the rally led to the road being closed, leaving the convoy transporting the cars stranded for several hours overnight. Their late arrival back in León resulted in the first two stages on Friday morning being cancelled. The race therefore only really began with the rally's 55km-long marathon stage, El Chocolate. Making the most of his tyre choice and a good starting position, Kris Meeke grabbed the stage win to move into the overall lead. The Briton also won one of the evening's super special stages to end the first full day as leader, having already established a healthy 20.9s lead over Sébastien Ogier. In the other Citroën C3 WRC, Stéphane Lefebvre also made a good start to the race. He ended the day sixth overall, following the plan drawn up for him by the team to the letter on his first appearance at Rally Mexico in a WRC. However, the young Frenchman was then forced to retire in somewhat unfortunate circumstances on day three. Following a minor error, the no.8 C3 ended up stuck on a slope just off the road on a corner on SS10. The car was undamaged in the incident, so he was able to rejoin the next day under Rally2 rules. Meanwhile, Kris Meeke continued his dominant display, tying for first place on El Brinco (SS11) and setting the fastest aggregate time over the morning's stages. On the second pass, he claimed a stage win on Lajas de Oro (SS13) and extended his lead over Sébastien Ogier to a 30.9 second lead at the end of Day 3, the final day of Rally Mexico only featured two stages: La Calera (32.96km) and the Derramadero Power Stage (21.94km). As the crews left the service park, light rain had started to fall. 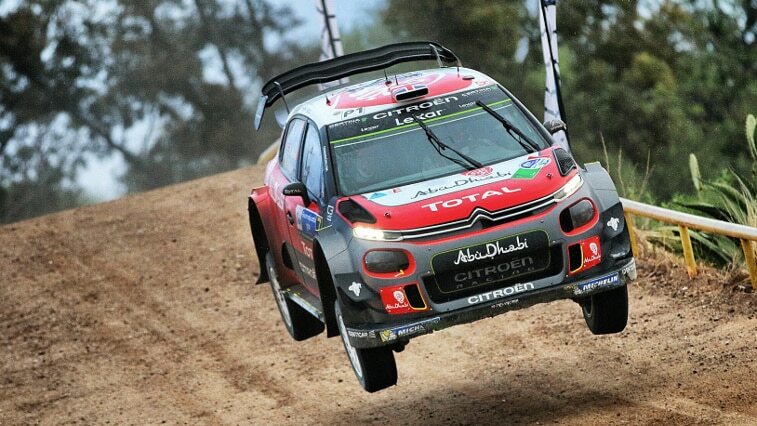 This led to the Citroën Total Abu Dhabi WRT crews making different calls when it came to tyre choice. Kris Meeke went with four soft and two hard Michelin LTX Force tyres, whilst Stéphane Lefebvre opted to go with six soft compound tyres. 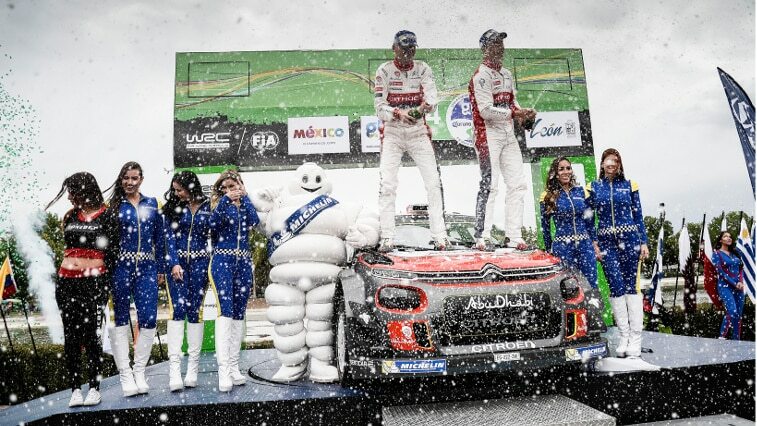 On the penultimate speed test, Kris Meeke claimed his fifth stage win of the weekend. He extended his lead over Sébastien Ogier by another 6.3 seconds, whilst Stéphane Lefebvre set an excellent third fastest time. The team looked on nervously as the crews contested the Power Stage, broadcast live on television. There was certainly no shortage of drama. With the finishing line almost in sight, the Northern Irishman's Citroën C3 WRC ran wide on a long right-hand corner. The car ran through the hedge at the side of the road and into a spectator car park. Kris managed to keep his cool, get around the parked cars and back onto the road in a few seconds. He crossed the finishing line to secure victory by 13.8 seconds. After something of an emotional roller-coaster ride during the final stage, there were scenes of joy and celebration in the team as Kris and Paul were welcomed as champions on their return to the León service park. This is Kris Meeke and Paul Nagle's fourth win in the WRC, following Argentina in 2015, and Portugal and Finland in 2016. 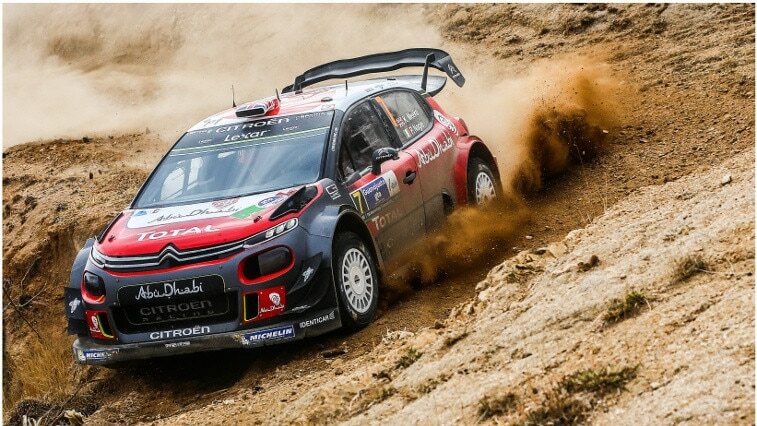 It is also Citroën’s 97th win in the World Rally Championship. After this, the season's opening gravel round, the Citroën Total Abu Dhabi WRT now turns its attention to the next event. 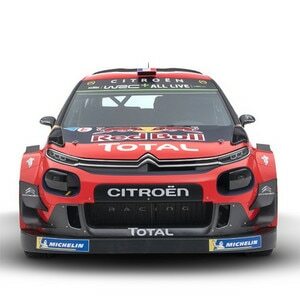 At the Tour de Corse (6-9 April), three Citroën C3 WRCs will compete for the first time, driven by Kris Meeke/Paul Nagle, Craig Breen/Scott Martin and Stéphane Lefebvre/Gabin Moreau. Before then, the team will be holding a test session on tarmac in order to fine-tune its preparations for the Corsica round.